We have already worked a lot on making the traditional coffee tables. We have also discussed that a coffee table is one which is a long and low table that is meant to be placed in front or side of a sofa or room chair to support beverages, books or other decorative pieces. So its pretty obvious that a coffee table is the need of every house hold. But today we are going to make a unique mini wooden coffee table which is square shaped. 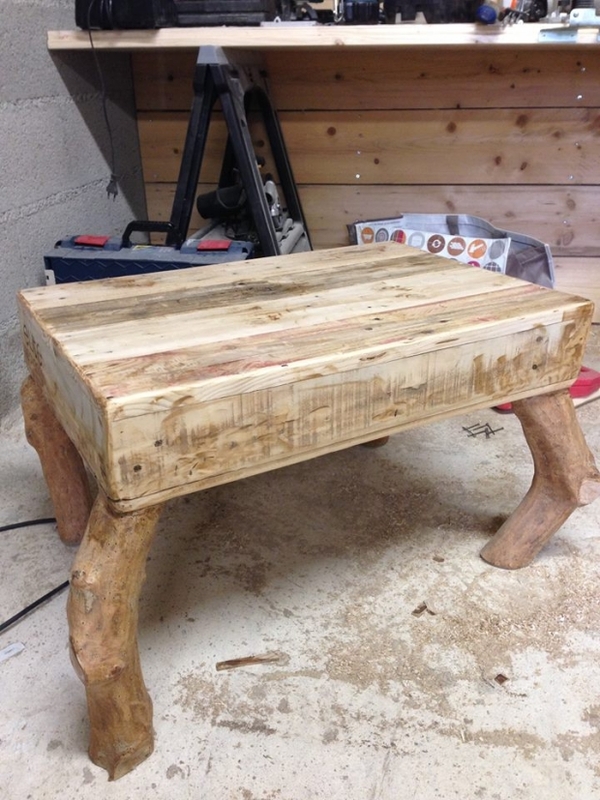 This is going to be recycled with the wooden pallet but its reclaimed legs are not made by upcycling the pallet wood but some raw wooden pieces. As we have already discussed that a coffee table is the need of each and every house hold. So because of its immense importance today we are going to make a mini coffee table which is relatively smaller in size and square in shape instead of a long conventional one. This is going to be a superb piece of art and definitely you are going to adore it. This mini pallet coffee table is also a sort of gift for the ones who are fed up of common coffee tables, they would love it I am sure. 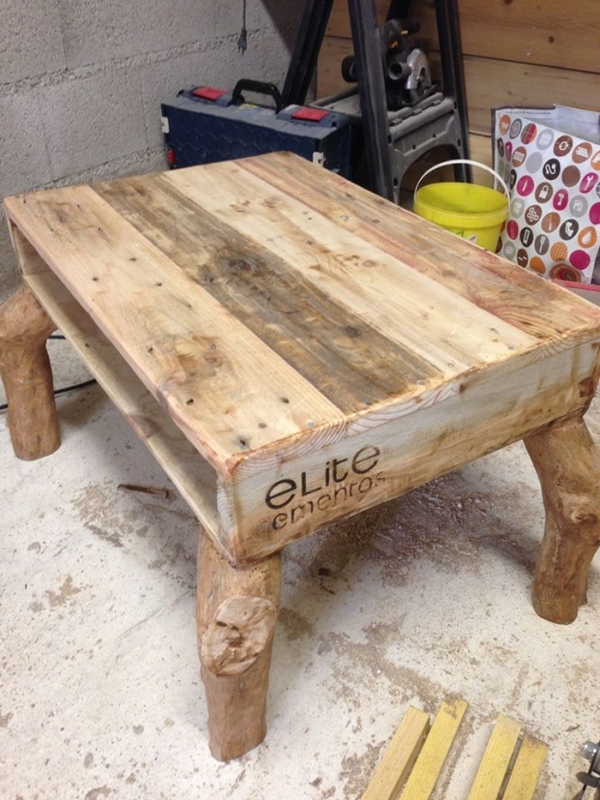 Now have a detailed view of this mini wooden pallet coffee table. Its top is recycled with the wooden pallet. Some plain wooden pallet sheets are used here. But its reclaimed legs are some raw wooden pieces which are acquired from the timber market. 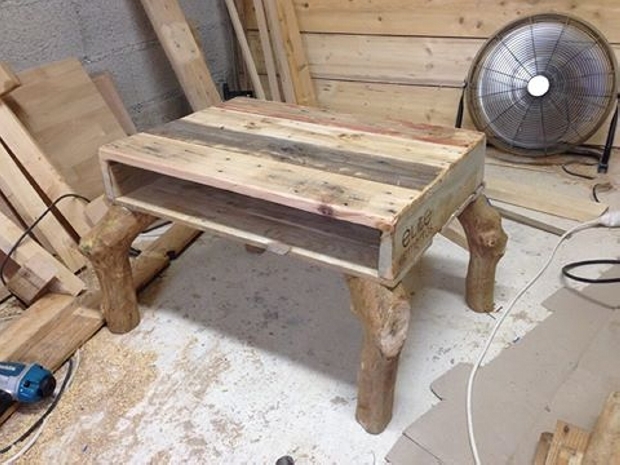 These raw and deshaped wooden legs are making this mini pallet table look even prettier. This is a superb feature for the art lovers. Commons can not digest it easily so they are advised to stay away as this mini pallet coffee table with curvy raw wood legs might seem strange to them.